Tony Perrottet has written a travel book about tourists, but these tourists had never been seen by the world. Route 66 A.D. is not just a travel book, but a history book, for its real characters are tourists of ancient Rome, who began an industry which has become one of the greatest money-making industries in the known world, and in many cases is what towns and cities depend on for survival. Perrottet became interested in the subject of ancient tourism when he discovered the oldest guidebook in the New York Public Library, and from there charted a detailed history of where ancient Roman tourists went on vacation, and why the went to places like Egypt, Greece, the end of the Nile and the supposed location of the ancient city of Troy. The result is a book that is both like and unlike any other travel guidebook every written; safe to say that if anyone has an interest in traveling and an interest in reading, this is the book for you. The author’s only true failing is in not fully appreciating what he has uncovered. He addresses these gems of history in a very cavalier way, sub-heading everything with annoying titles like: “Island Hopping the Aegean,” “Traffic Jam on the Sacred Way,” and “VIP Seeks Crocodile God.” Nevertheless, the book is filled with many photographs and details like the infamous directions to the brothel in Pompeii – cared penises on the walls – as well as a detailed index that can help navigate anyone on a most unique vacation into the ancient world. Originally published on October 7th, 2002. There’s a reason we all live in California (for those of you who don’t, read and learn why): it’s the best state in the nation! Those of us who call California home already know this, but with so much to offer from the Golden State, it can be tricky sometimes to decide what one should do and where to go. Lonely Planet’s California Trips presents to you all the answers you’ll need with “68 themed itineraries, 1147 local places to see,” covering the entire state, as well as some side trips to Nevada and Mexico. The book begins in the Lonely Planet style of over twenty pages of glossy photos illustrating some of the beautiful places and spectacular vistas California has to offer, along with crucial page numbers for entries on each of these locations. This is followed by one of the most extensive and complete list of contents ever created, with trips organized for California, Northern California, Central California, and Southern California; then by theme, by season, and Expert-Recommended trips. Each trip is numbered, featuring a clear map with paragraphs on different numbered points from the map. On the last page of each section is “trip information” with specific places to visit – whether to eat, sleep, or be merry – along with contact details and websites where possible. California Trips is a travel book with few photos or pictures illustrating the places to visit, but that’s because this is a guide book to help you choose where to go and get you to that location safely, and then no photo or picture will compare to actually being there, wherever it may be in the great state of California. Originally written on July 4th 2009 ©Alex C. Telander. From the author of Fifty Places to Sail Before You Die, as well as the other Fifty Places to . 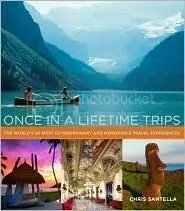 . . books, comes a unique collection of locations on and above our planet: Once in a Lifetime Trips: The World’s 50 Most Extraordinary and Memorable Travel Experiences. Having visited most of the these places himself, Santella doesn’t just try to give readers some truly special and awesome places that our planet has to offer, but to make a unique trip, journey, or experience out of it. The book is divided by definition of how one can reach certain places: by sea, in the jungle, in the mountains, in the country, in the city, and even in the sky. Each location has a two- to three-page entry featuring one or two photographs highlighting it, as well as a storytelling description of how one can best experience this unique place told through second person. Some predictable places are mentioned, like Easter Island, the Galapagos, climbing a mountain in the Himalayas. And some (if not a good percentage) of the places mentioned are out of most peoples’ price ranges, such as: “The world’s greatest opera houses by private jet” and “Visiting the International Space Station,” while others require extreme fitness and skill: “Heli-skiing in New Zealand’s southern alps” and “Coasting on the king’s trail of Sweden.” Nevertheless, Santella does provide a detailed page at the end as to how one can take a trip to each of these unique locations and whom they should contact. While a map may be needed for some readers to know just where these places are, they will at least delight and give reader’s ideas about what they might like to do to make their next trip extra special. Originally written on May 25th 2009 ©Alex C. Telander. 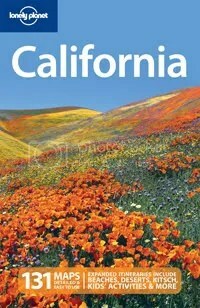 In this wonderful new edition of Lonely Planet California, featuring a field of California poppies on the cover, you will find 131 detailed maps and lots of new features, sidebars, recommendations, and spotlights, improving the book over the last edition. It’s the ideal book for any Californian or person visiting California, whether you’re looking for an extended excursion or a quick trip somewhere. The book features a detailed table of contents laid out by location, or there’s the quick-reference full index immediately taking you to where you want to go. Lonely Planet California has lots of features and sidebars on not just the “top five” places or towns to see, but entertaining items like “top five trendy SF restaurant ingredients” or “top five star-studded SOCAL socials.” Descriptions feature some entertaining creative writing along with crucial details about specifics of a town or location. The best thing about the book is the cross-indexing, where if there’s an entry about it, the page number will be next to it so you can find it right away. I know I’ll be keeping Lonely Planet California within easy reach on my shelf, for whenever I leave the home and head off into the wilderness of this great state. Originally written on May 22nd 2009 ©Alex C. Telander. When travel writer Patricia Schultz published 1000 Places to See Before You Die on May 22nd, 2003, she expected the book to do relatively well like her other travel writings. She has written for Frommer’s, Berlitz, and Access travel guides, and has published articles in Condé Nast Traveler, Islands, and Harper’s Bazaar: a fairly accomplished travel writer in her field. This was the general idea for bookstores also: 1000 Places would do relatively well being a travel book and an original idea. No one predicted an amazing, bestselling success; one of the top gifts for Christmas of that year; and an unstoppable expansion into new uncharted territories: a calendar, a TV show, a registered trademark, a soon-to-be information-filled website (www.1000beforeyourdie.com), and an idea that will spawn countless sequels, such as Shultz’s latest release 1000 Places to See in the USA and Canada Before You Die, released almost exactly four years later. What makes this new book unique for Americans and Canadians is that there is at least one chapter (if not more) in this book that each person will know very well, for it is about where they live. 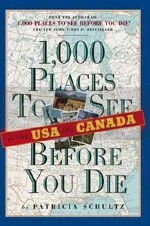 They likely will know the big tourist spots, the areas one must visit, and the locations that are known worldwide; these are all included in 1000 Places to See in USA and Canada Before You Die. However, Schultz takes you further with short detailed articles on areas you may never have heard of, even if you live in that particular area. I live in California and have for some time. I’ve seen a lot of the popular locations Schultz mentions: Alcatraz Island, Catalina Island, Yosemite, and the Mission Santa Barbara; but on reading this chapter I was thrilled to discover new locations I’d never heard of within California, such as Ojai, a delightful town located north of Los Angeles, as well as the annual Festival of the Arts, held in Laguna Beach each summer. 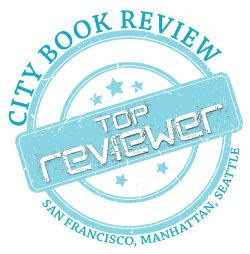 Included in this chapter on California are also articles on popular restaurants for both Los Angeles and San Francisco. Schultz takes you on a journey through every state of the country, and every province in Canada, providing the reader with valuable information that doesn’t take up that much room. Each article is a couple pages long and ideal for reading in a brief space of time, say, waiting for a train or plane, or taking a cab ride across a city you’ve never been to before. One of the keys to this book and Schultz’s last, is the economical way they have been published in paperback form (however, 1000 Places to See in USA and Canada Before You Die is also available in hardcover), and while they may not fit in your pocket, they easily slip into a backpack or purse, weigh little, and are very easy to navigate with a table of contents and extensive index. Schultz goes one step further with her latest book in providing the reader with “special indexes” in addition to the regular one, which includes: first-rate hotels, resorts, and spas; lists of unique restaurants and places to eat; scenic drives; getaway islands; and where to take the kids, to name a few. The saying is: “So many places, so little time.” But thanks to Patricia Schultz, travelers now have two invaluable resources that while not making it possible to see every important place in the world in one lifetime, nevertheless quantify and qualify what there is so see and why you should see it; whether you’re sitting on a couch in your home deciding where to travel to; or 35,000 feet up on your way to a new and never before seen country; or traveling along a rare and hidden location you’ve never heard of. Over a hundred years ago, every traveler was required to have their Baedeker on them at all times; in the twenty-first century, it is 1000 Places to See . . . Originally written on June 14th 2007 ©Alex C. Telander. Take a trip to the wonderful and historical country of Spain, but not just the Spain of the present day, but of the past century, and the century before; as seen through the eyes of such renowned writers as Ernest Hemingway, George Orwell, Edith Wharton, Henry James, and many more. 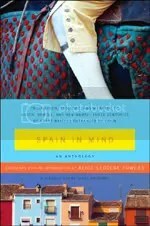 Presented in an almost pocket-sized wonderful paperback edition and edited by Alice Leccese Powers, who’s previous In Mind series have been very popular; Spain in Mind is the ideal book for those thinking to travel to Spain, those who are traveling, or those who wish to know more and just want something easy and interesting to read. The beauty of a collection of travel stories is that they can be read over short periods of time and enjoyed just as much as an entire travel book by one person. This is not just a travel book about Spain, but a historical, political, critical, and anthropological book about the country that more and more people visit every year. Having just come back from a week’s vacation in Spain, on the Costa del Sol, this book was an ideal companion for the long plane ride over, and during the week I was able to sample and experience many of the tastes and sights Spain has to offer according to Spain in Mind. Calvin Trillin writes lengthy and descriptive about the famous Spanish peppers known as pimientos de Padrón which he only travels to Spain for, and eats in vast amounts. Trillin has even tried growing the peppers in his native New Jersey, but so far has failed, and has to return to Spain often to satisfy his addiction. On one family get together, I was able to experience these pimientos and while I don’t hold them in such high esteem as Trillin, it was wonderful to read about a famous dish and then be in Spain to try it for the first time. I was born in Spain and spent the first eighteen years of my life there, before coming to California; I hadn’t been back in four and half years until this trip. Alice Leccese Powers starts the book with a comprehensive and enchanting introduction that brought back all the memories of Spain for me, and will serve as an excellent introductory course to those having never traveled to Spain or simply not knowing much about the culture. On the matter of the renowned Spanish siesta, Powers indicates that in this dynamic and modern world, it is still very much alive: “Although there are reports of the decline of the midday fiesta because of the pressures of modern life – commuting, two-family households, a bustling economy – it is still difficult to find an open pharmacy in Madrid in the middle of the afternoon.” I can attest to this with firsthand experience with regard not just to pharmacies, but to many different stores, even the parking! Between two and three in the afternoon, parking is free in my hometown of Fuengirola, presumably because the meter maids are taking their siesta. George Orwell writes of the civil war and the part he played in it. Barbara Kingsolver writes of the unique flora, fauna and way of life on the Canary Islands. Chris Stewart, a one-time member of Genesis and now British expatriate, writes of his experiences in living on a farm in Spain. There is even Rose Macaulay, traveling on her own by car in the 1940s – which was a rare thing – who does not seem to like Spain that much, choosing not to visit the tourist-clogged south, and voicing a distaste for many things; nevertheless providing a unique eyewitness account bursting with description and detail. Powers also balances the prose with quite a few poems from e. e. cummings, Billy Collins, W. H. Auden, John Dos Passos, Langston Hughes, and Andrew Marvell. While a map of the towns along with some photos of places and things described in the book would’ve improved Spain in Mind, it is a wonderful mixture of material covering three centuries from very different writers moving to or visiting Spain for many different reasons. It is through their experiences in their writing that we experience the true life of Spain, not just in describing the places, but in these people living their lives there. We see Spain through their eyes, and live Spain through their hearts. Originally written on March 29th 2007 ©Alex C. Telander.